If you're anything like me, you vow every year that next year will finally be the year that you get all of your ducks in a row. 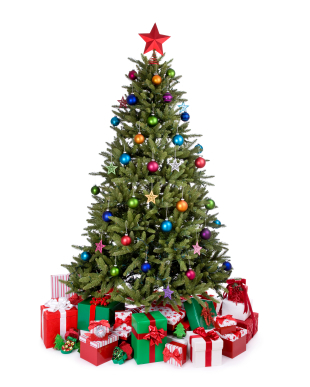 That "next year" you will be super organized for Christmas...have all of your shopping, decorating, and baking done early, your Christmas cards addressed and mailed before December even hits. That's always been my dream. I know there are people who actually succeed at this, but I have yet to be one of them. Earlier this year, I even planned things down to some detail. How everything, including making my cookie doughs for baking, would be done before December 1st. 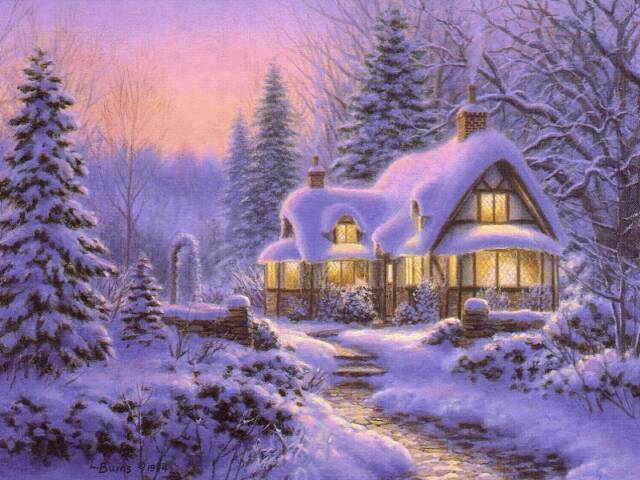 I would then spend December basking in the glow of a clean, decorated house, the oven full of warm, gooey Christmas treats, the scent of Christmas wafting through the air while Christmas music played throughout the house. 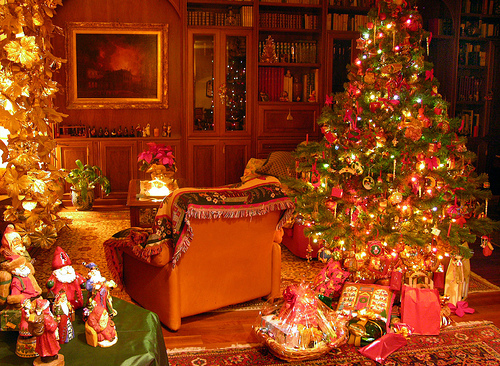 I would have time to read Christmas stories, take a nap or two in sunlight streaming through gleaming windows. I would, finally, enjoy the Christmas season in a restful, stress-free state, savoring every moment. It's one week before Christmas. I have done most of my shopping, most of my cards are mailed out (that happened just 2 days ago), there is no cookie dough to be found anywhere in my house as of yet, and not one Christmas gift has been wrapped. Life got in the way. There have been projects and deadlines and exhaustion. But I am still determined to bring in Christmas in the best way possible, considering the circumstances. So if you are sharing in my dilemma of another Christmas arriving way too soon, and the ensuing disappointment in another Christmas getting away from you and your not being able to have enjoyed much of it...here's a game plan. This is a way to step back, look at what you want and then what needs to be done to get there. The Cliff Notes version. Step 1. Figure out what is absolute necessity for you and your family. Think first about the vision you have for Christmas and what's most important for you. What do you want Christmas to look, feel and smell like? Once you figure that out, figure out what is a priority and what isn't. When you are down to one week before the big night, you've got to edit wisely. For me, some of the things that I envision are a clean, organized fridge so that I can make up my cookie dough, store it in the fridge and pull out as needed next week to bake my cookies. I imagine opening up the fridge, it's all clean, organized and filled with what I need. That makes me breathe a bit easier. I feel the stress melting away as I now realize that I can enjoy my baking, even if it is a lot later than I had originally planned. Some of the other things I envision are a clean bathroom, the living room clean, peaceful and decked out in holiday splendor. A comfy bed with clean sheets and blankets. Christmas music playing. Scented candles. Feeling fit and lean (or as much as possible ;-) Looking and feeling my best and being relaxed. Enjoying the company of family and remembering how blessed I am. Taking time to read the Christmas story from the Bible. Enjoying the process of wrapping my gifts. By Christmas Eve, I want to be relaxed as much as possible with a peaceful (if not perfect) home, fresh baked cookies, beautifully wrapped gifts and a thankful spirit. Remembering the real reason for the season and celebrating that. Now, I know what is important for me and my family. Step 2. Figure out a game plan so that your above vision of Christmas, can be a reality as much as possible. If we go by my example above, there are several things I know that I need to do and schedule in in the week leading up to Christmas Eve. *I have to clean my fridge....clear it out, wipe it down, do a quick organize, make sure I have the baking supplies I need. This will only take about 20 minutes. It's easy to procrastinate on things like this, and I am honestly the queen of procrastination, but knowing how quickly we can do some of these things can really fuel our energy to get them done, which may leave us some time to take that nap in the sun that is streaming through the window tomorrow. *Clean my bathroom. A good surface cleaning. Swish the toilet with cleaner, wipe down and disinfect the sink, vanity, tub, shower. Shine up the mirrors. Vac and mop the floor. This is NOT the time to do a major re-organizing, despite how much your bathroom may need it and despite how tempted you are. Schedule this for after the holidays, or, if time permits, you can take this task on once you have all of your Christmas tasks taken care of. *Do a quick clean of the rest of the house....dust, run the vacuum, mop or spot mop where needed. Freshen everything up. Make it look pretty and feel comfortable and clean. If you can't deep clean, so be it. Sometimes a good surface clean is all you need (or, all you have time for). *Schedule in the following: Pull out Tupperware and storage containers, as well as cookie cutters. Wash ahead of time if necessary. Make cookie doughs and refrigerate, schedule some days to do some baking, set aside time to wrap presents (with all supplies at the ready) while sitting around the tree with a hot mug of cocoa, scented candles burning, and Christmas music playing.) This is still very possible and will lead to a much more relaxed state of mind. *Purchase trays or tins for transporting cookies to family. *Set aside time to read the Christmas story from the Bible and to watch some classic and favorite Christmas programs either on tv, or on DVD. These really help get me in the spirit of Christmas, which despite it's relative proximity, feels far away to me still. *On Christmas Eve, make my Christmas Morning Casserole and put it in my clean fridge. *Make a list of my blessings....everything that I have been blessed with....family, friends, opportunities, whatever comes to mind. Read this daily. *Be observant of my diet, healthy food choices, how much water I'm drinking, sleep I'm getting and my exercise program. In one week, I may not be able to achieve my goals of complete and total fitness, but if I stay active at least several times this week, I will feel better, be in a better mood, and feel more confident and slimmer. I will also be closer to goals I have set for fitness for the new year. *Some general tips: Drink lots of water to stay hydrated, don't skip meals and choose wisely. Dehydration and hunger can zap our energy and put us in a not-so-merry, mood. Be active. A body in motion stays in motion. Try to do something daily...yoga, stretching, aerobics, even a quick workout at the gym or a walk around your neighborhood to see all of the Christmas lights. Get your body moving. *Set aside some home spa time. Groom your brows, take a hot, fragrant bubble bath, give your body a nice scrub, steam your face and treat yourself to a facial mask and give yourself a manicure and pedicure. If finances and time allow for you, you can also go to a spa for some professional pampering services. Taking care of yourself will make you feel relaxed and more ready to enjoy and put things in perspective. Take all of these tasks, look at your calendar of the week ahead, and plug these in so that you can easily, and enjoyably, get the tasks done and enjoy what is left of the time before Christmas as much as possible. It's not wasted, and it won't be overwhelmingly stressful, unless you allow it to be. By following the above, I (and you with your respective list) should feel ready and relaxed by Christmas Eve, surrounded by a pleasant, comfortable, festive home. Not perfection, but peaceful. Step 3: After Christmas, make a list of what worked for you this year, what didn't and how you can do things better, more efficiently and more festively next year. Right after the holidays is the best time to do this as it is all very fresh in your memory. 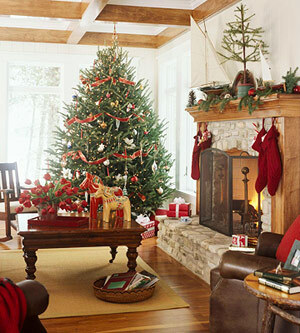 Now that the hustle and bustle is over with, sit in a cozy place in front of your tree. Take in the glistening lights and ornaments. Put on some Christmas music. Be thankful for all that you've received and all that you have. Breathe deeply. You can now relax and enjoy all of the hard work you've put in up to this point. Make yourself some hot cocoa or tea and cozy up with a pad of paper and a pen or your laptop, and make that list. *What worked well this year that I want to repeat? *What did not work and why? What distracted me? 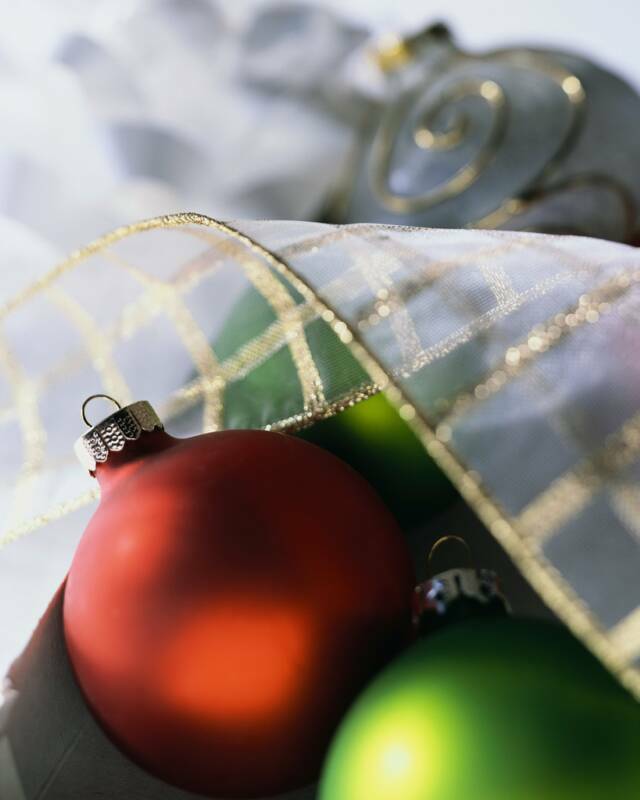 What got in the way of my enjoying the kind of Christmas I wanted to enjoy with my family? *How can I really make next year the way I hope it to be, or at least a lot closer than it was this year? Then, make up a list of all that has to be done for Christmas next year and figure out how to schedule it in so that you will be done before December hits. That way, you can take December and really enjoy the season and the holiday without regret. You can take your time and bake, watch your favorite Christmas shows, visit with family, help others in need, volunteer, and take that nap in the sun streaming through your window.